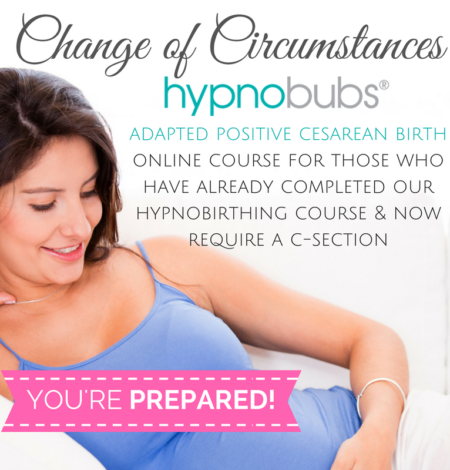 This is a world first program designed to help you build the knowledge, tools, support crew and mindset to assist you achieve a very cal and positive caesarean birth experience. A common misconception is that we do not have options available to us when having a C-section! This is not true, you DO have options and your choices can have a huge impact on your state of mind as you birth, comfort and your baby’s introduction to the world. In the event you can’t attend any of Rockin’Birth face-to-face, private or online workshops, we highly recommend this option. All online self-study course are presented by Melissa Splisted, a renowned hypnotherapist and a leading expert in evidenced-based childbirth education. eBook "The Positive Caesarean Birth"
This option helps take your confidence to the next level by including the online Positive Cesarean Birth course PLUS a private 90 minute session with a Hypnobubs Practitioner PLUS some bonus albums for after birth..
Hypnobubs® special adapted version of the course builds on your prior learning and helps prepare you for this change of circumstances.